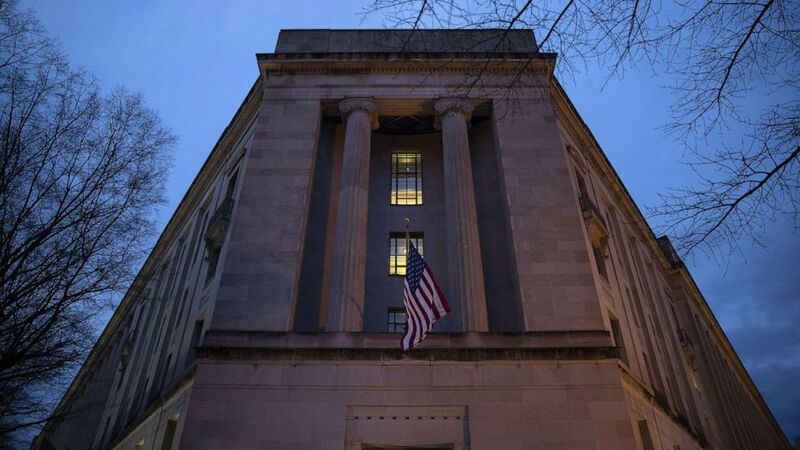 The ranking member of the House Intelligence Committee said Sunday that everyone, including President Donald Trump‘s personal attorney Rudy Giuliani, should wait until special counsel Robert Mueller’s report is release to the public before making pronouncements on vindication. Rep. Adam Schiff, D-Calif., chairman of the House Intelligence Committee, suggested on “This Week” that the president is not clear of all wrong-doing and that there has already been “significant evidence of collusion” between Trump’s campaign team and Russian officials to sway the 2016 presidential election in Trump’s favor. 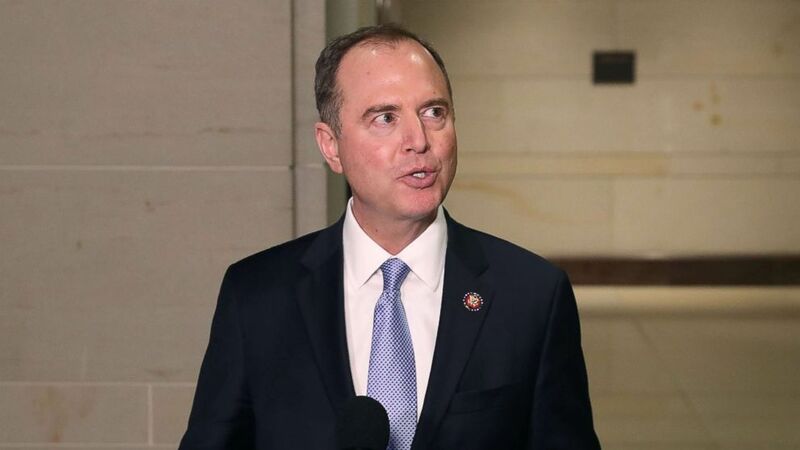 (Mark Wilson/Getty Images) Chairman Adam Schiff (D-CA) speaks to the media after Michael Cohen, former attorney and fixer for President Donald Trump, appeared before a closed door House Intelligence Committee hearing at the Capitol, March 6, 2019. 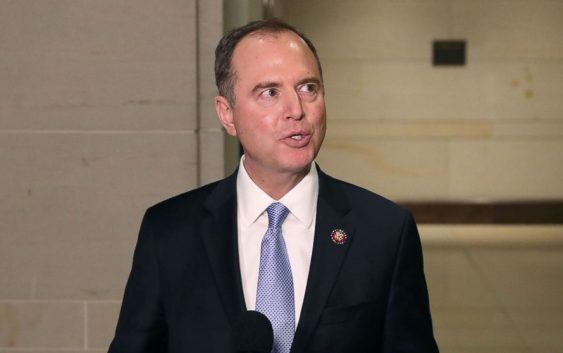 But Schiff said Sunday that Giuliani would be wise to wait until the special prosecutor’s report is made public before asking him to apologize. “Mr. Giuliani would be wise to do something he has rarely done, and that is wait ’til we see the facts,” he told ABC News Chief Anchor George Stephanopoulos on Sunday. @AdamSchiff said “there is significant evidence of collusion involving Trump campaign.” I trust he is relieved there is no collusion. And I hope he will apologize for his mistake. We all make them. The real virtue is to admit it. It would help us heal. 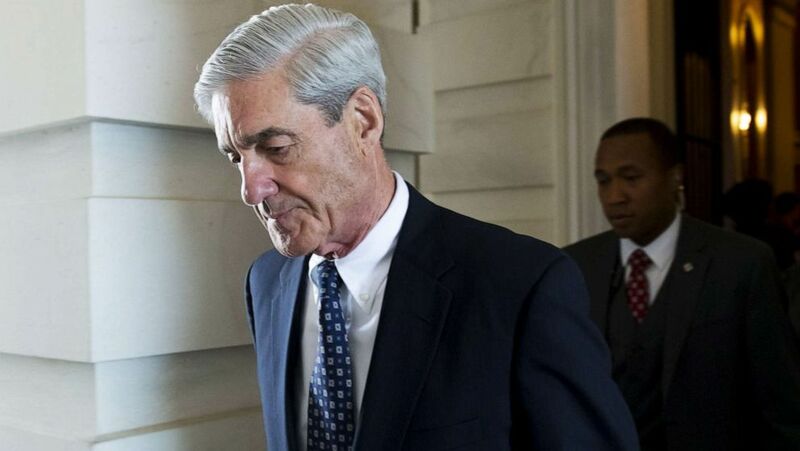 (AFP/Getty Images, FILE) Special Counsel on the Russian investigation Robert Mueller departs a meeting with members of the US Senate Judiciary Committee at the US Capitol in Washington, June 21, 2017. 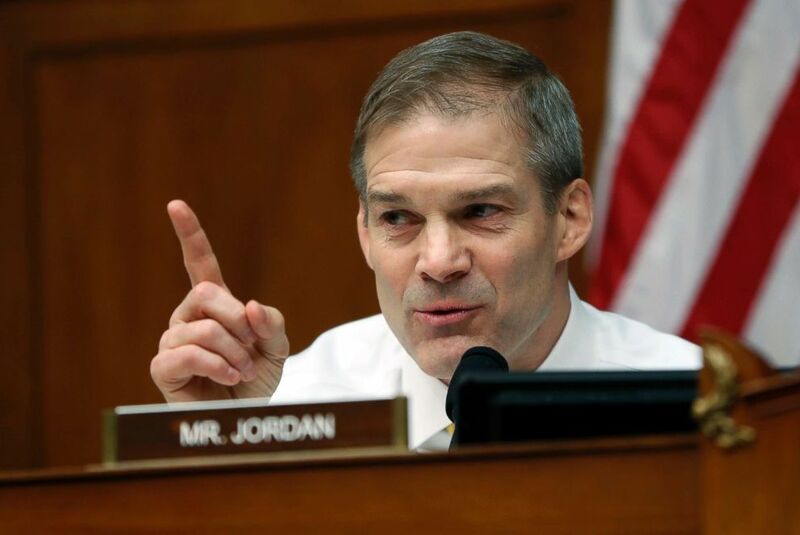 (Pablo Martinez Monsivais/AP) Ranking Member Jim Jordan questions Michael Cohen, President Donald Trump’s former personal lawyer, during a hearing of the House Oversight and Reform Committee on Capitol Hill in Washington, D.C., Feb. 27, 2019. 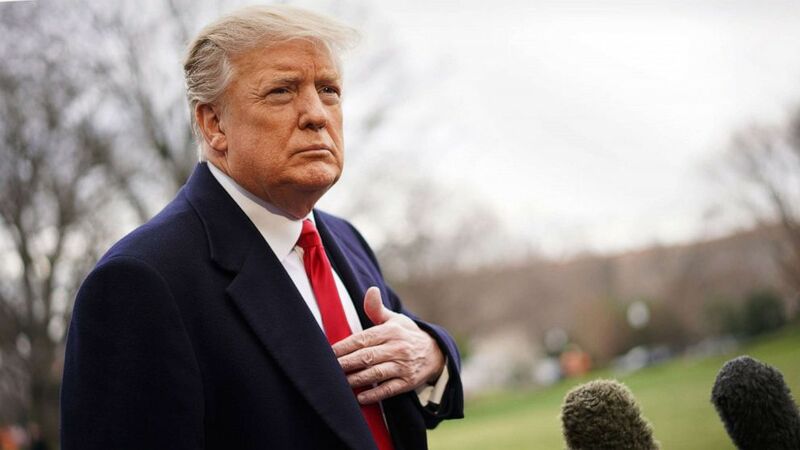 (Drew Angerer/Getty Images) The Department of Justice stands in the early hours of March 22, 2019 in Washington, D.C.
(Mandel Ngan/AFP/Getty Images) President Donald Trump speaks to the press before boarding Marine One as he departs from the South Lawn of the White House, March 22, 2019. 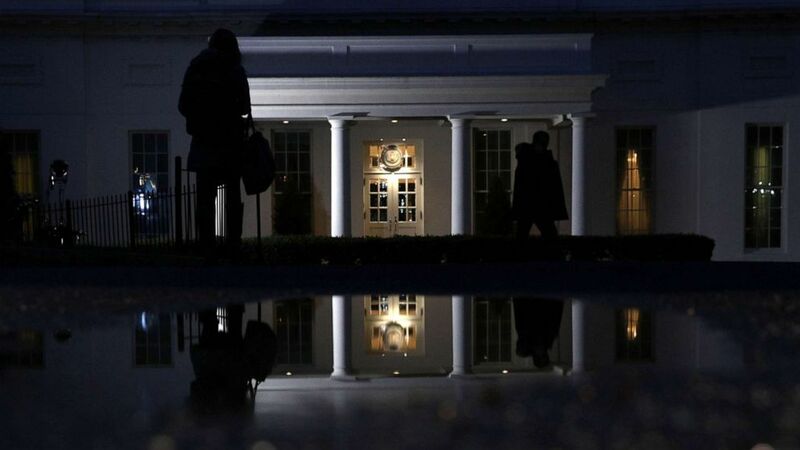 (Alex Wong/Getty Images) The West Wing of the White House is seen in the morning hours on March 22, 2019 in Washington, D.C. 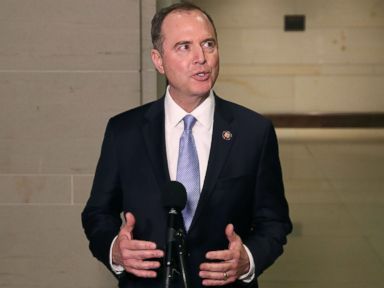 Ahead of any of the report being made public, Schiff said Sunday that “it’s too early” to tell if Congress will no longer consider impeachment. “If there were overwhelming evidence of criminally on the president’s part then Congress would need to consider that remedy if indictment is foreclosed,” he told Stephanopoulos.